Christmas has come early for three Southport sport and recreation clubs with the third round of the Get Playing grants program wrapping up for the year. Get Playing forms part of the Queensland Government’s $68 million Get in the Game initiative, and provides sport and recreation clubs with better facilities. Member for Southport, Rob Molhoek, said the local clubs had shared in more than $11.4 million worth of funding, approved to almost 140 clubs statewide under the latest round. “Sport and recreation clubs are an integral part of this community and are used by hundreds of kids, so it’s important that their infrastructure and facilities are modern and safe,” Mr Molhoek said. “Get in the Game is focused on promoting greater participation at the grassroots community level and supporting local clubs and this funding will help achieve that in Southport,” he said. In this round, three local clubs will receive $278,500 in Get Playing funding to improve their infrastructure and facilities. Southport Junior Australian Football Club to construct a senior oval. Southport Pony and Hack Club to construct a new clubhouse facility. 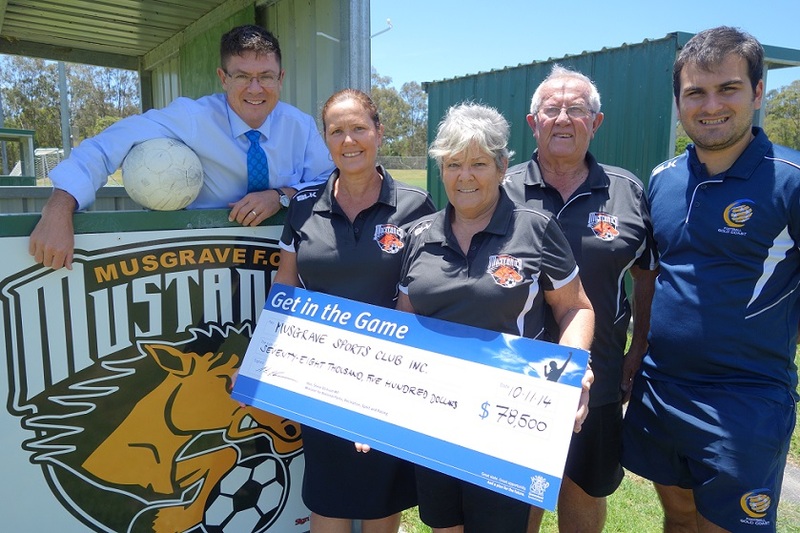 Musgrave Sports Club to upgrade club amenities and construct new equipment storage space. Sport and Recreation Minister Steve Dickson said the Queensland Government was keen to encourage more families to get involved in sport and recreation. “We made an election commitment to get more young Queenslanders involved in recreation and sport and we are delivering through these highly successful programs,” Mr Dickson said. “The response to Get Playing has been overwhelming, and the projects that have been delivered under this program have made a real difference to local communities. Mr Dickson said clubs to receive funding through the latest round of the Get Going program, which provides up to $10,000 for resources, equipment and services, would be announced soon. Further details on Get in the Game are available at www.nprsr.qld.gov.au/getinthegame.